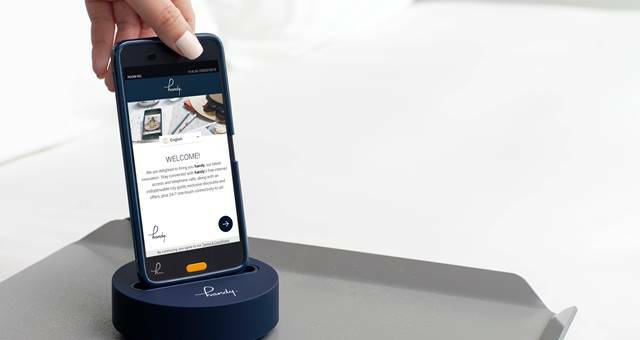 Guests staying at Swissotel Sydney will be able to take advantage of Handy, a new mobile app compendium packed with customised city guides and local experiences, thanks to a new partnership with Hong Kong startup, Tink Labs Limited. The complimentary service enables visitors to travel like a local finding places and information they need at no cost. Travellers can explore customised city guides on Handy, curated by experienced content provider LUXOS to discover new experiences anytime, anywhere. Visitors can also stay connected with free unlimited local and international calls, free internet access, speed dial to hotel services, and local emergency and essential travel information. The service is also part of a digital deployment that supports the hotel’s commitment to becoming more sustainable by reducing the need for printed materials such as in-room directories, and providing useful information about the hotel’s full range of facilities at a touch of a button. Guests will also benefit from real-time exclusive and personalised offers sent through the device which they can enjoy during their stay. To date, Handy is already available in 80 countries, covering 600,000 rooms and helped 18 million global travellers to stay connected. Swissotel, now part of AccorHotels, is the first large chain to launch the service in Sydney and will be available for travellers from 8 January.